We started with a simple idea here at ParityFactory – automated materials control and real-time inventory data shouldn’t be such a struggle for food manufacturers. Increasing efficiency and accuracy in food plants became our mission. With our extensive experience in food processing and technology, we created a uniquely valuable option for food processors who want to modernize their operation. Using a combined solution of modern software, ERP integrations, and factory equipment, food plants using ParityFactory run smoother and leaner as a result of real-time inventory, instant lot tracing, and an efficient paperless shop floor. Fundamentally different from generic warehousing solutions, ParityFactory has deep, built in, food capabilities that make the complexities of food safety (quality holds, SQF, GS1, etc. ), food manufacturing (UoM conversions, FEFO, FIFO, etc. ), and food reporting (yields, tracing, etc.) simple and automatic. Flexible workflows, processes, and product definitions (random or even weight, pallets, bins, etc.) adapt to match the way each factory operates. Simple screens that are streamlined for plant workers help people do their jobs faster and more accurately with on screen instructions, verifications, and warnings. By working on nearly any device and integrating easily with business systems and plant equipment, ParityFactory helps processors get more value out of their existing business systems and leaves options open for future change. ParityFactory comes with fixed cost implementation and training—generally taking about 90 days. Each all-inclusive solution is delivered by a team of food industry experts and includes multiple on-site visits to ensure your team is up and running without disruption. We recently celebrated our 30th anniversary and are proud of the depth of food factory knowledge it represents. Parity’s founders worked in food manufacturing for many years and saw first-hand the challenges of recalls, inventory control, plant efficiency and other issues unique to food processing. After an initial start in the Alaskan seafood industry, Parity expanded across the food industry – produce, meat, dairy, nuts, multi-ingredient manufacturers and more. Parity’s team and products have continued to focus on the food factory floor and currently serve customers, ranging from startups with one site to large growing enterprises, throughout North America. Sean is an entrepreneur who has explored the ways that data can be leveraged to solve business problems and increase the bottom line for companies of all types and sizes. Having worked both at Enterprise companies and Start-ups, Sean started Piraeus in 2006 and grew it into a Management Consultancy of over 100 team members. The firm successfully sold in 2015, with integration and transition completed by the end of 2016. Sean’s invested in a variety of companies with his business partners, and is thrilled to get to be a part of the leadership at ParityFactory. Heading up the consulting and operations teams, Tyler has spent several years traveling to and working with food production facilities to implement Parity’s inventory solutions. He is passionate about making every project a success, working directly with our customers every step of the way. Tyler is an avid Husky Football fan who spends most of his free time traveling or attempting to not be terrible at golf. Meggan is Parity’s resident organizer. With a diverse background that spans everything from humanities student, to food factory worker, to construction project manager to small business strategist, Meggan’s versatility is one of her most valued qualities. Meggan spends most of her time managing Parity’s internal operations but also enjoys interacting with clients and prospects through marketing and sales. With a soft spot for modern art, Meggan loves making big creative messes with her three young kiddos and spending time on the beautiful Puget Sound. Corey was born and raised in Chelan, WA and received a B.S. in Mathematics, with a focus in Computer Science, from Western Washington University. 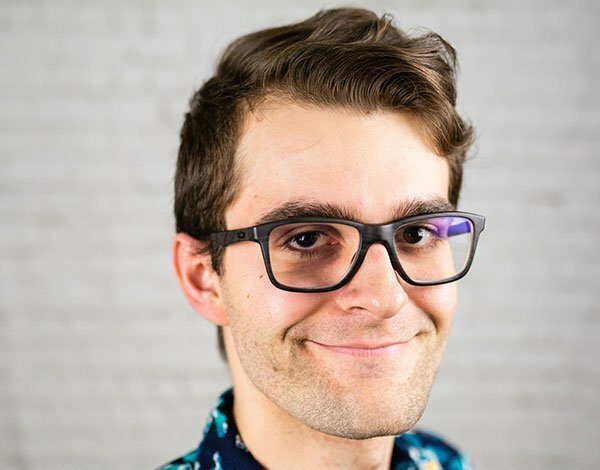 After taking on many unique jobs, including camp counselor, barista and video game tester, he followed his passion for creating software and has been with Parity ever since. Corey is an avid soccer fan and Seattle Sounders season ticket holder. Florida transplant and programmer, Derek is fascinated by all aspects of game design and analyzing how different game systems work together to be fun. Developer at Parity by day, artist and video gamer by night. Jordan is pursuing a degree in computer science while attempting to break things at Parity. He enjoys programming and eating Mexican food with his girlfriend and cat. Bridget splits her time assisting both the software development and consulting teams. She is a Western Washington University Computer Science grad who loves spending time with family and her one year old chocolate lab. Jordan has a passion for technology and getting things done right. He is a Massachusetts native, now converted Seattleite. Outside of work, you can find him traveling the world or getting lost in the mountains. Wendy is a Die-Hard WSU Cougar along with her husband and two kids. With a priority in customer service, Wendy has spent a decade with Parity and is looking forward to many more. Ben has a desire for learning and helping others. He brings warehouse experience and education to help connect with the needs of clients. Away from work, he enjoys spending time with his family and friends and playing with his dog. Ankita believes that her coworkers are the highlight of her workday at Parity. She is passionate about working with people so she fits right into her role as a consultant. She is as much of a people person as she is a dog person and you can always find her exploring for the next adventure with her favorite companion, Scooby. Kim provides admin support to the entire team at Parity. A Seattle native, Kim loves traveling and spending time with her husband, two teenagers and kitten.